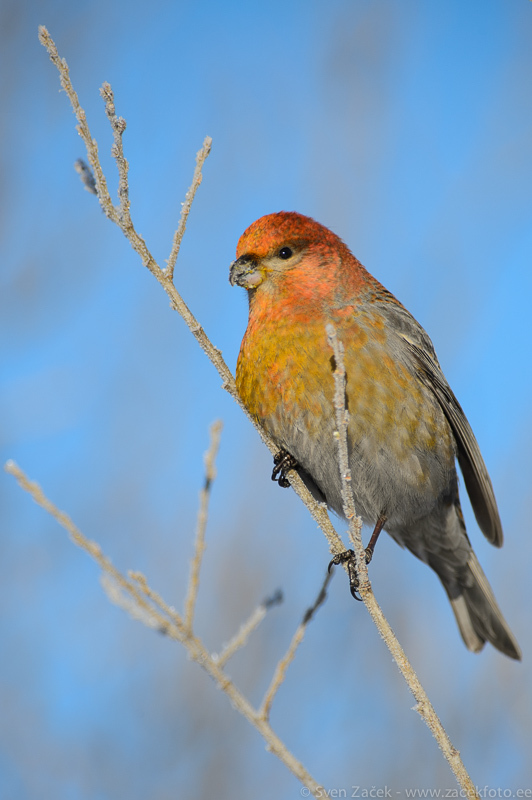 Pine grosbeaks are rare visitors in Estonia. This winter has been a good invasion year and sightings have been aplenty. I was also lucyk enough to encounter a flock of these colorful fellows and had a chance to photograph them feeding for more than one hour. Photo info - Winter: : Nikon D4 + Nikkor 300mm F2,8 VRII + TC-E20III. 5,6 1/1600, ISO 400.